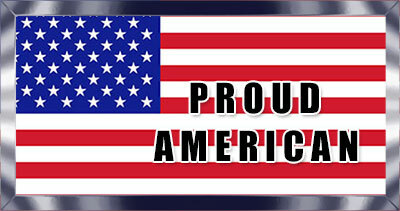 If you wish to show the world you are a proud American, you have come to the right category. 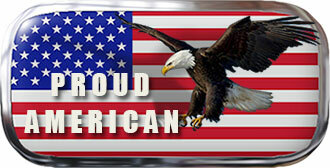 Page includes American Eagles, American Flags, USA map flags and plenty of graphics to show your pride. 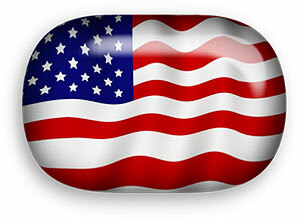 American Flag with glass overlay and rounded corners. American Pride with American Flag overlay and perspective shadow in 3D. 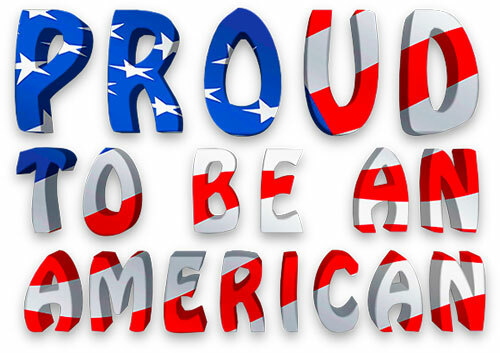 Proud American in red, white and blue. Animated American Flag waving in the wind. American Flag oval with perspective shadow. Proud American on an American Flag with frame. Proud To Be An American with American Flag overlay and a slight perspective shadow. A young woman showing her pride in America. 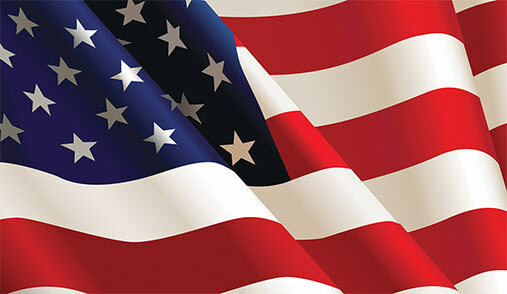 Large American Flag with strong wave. JPEG image. 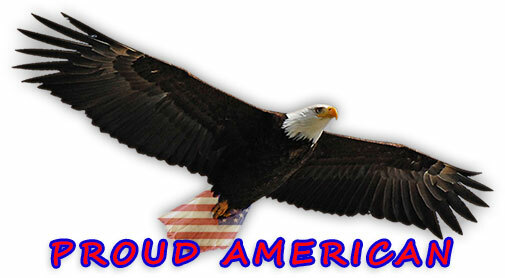 Proud American with eagle and American flag.